On this day, 25 years ago, just as Source One was beginning to launch in Pennsylvania, simultaneously, Batman Returns officially debuted in theaters across America, bringing together some of 1990's Hollywood’s biggest names: Michael Keaton (of earlier Batman fame), Danny DeVito (a legendary in the TV series, Taxi), and Michelle Pfeiffer (later renowned for her work in Criminal Minds.) As the 6th highest grossing film of 1992, Batman Returns acts both as a cultural landmark in a time of grudge music and coffee shops, and as a characterization of Source One’s primary principles in Project Management and Strategic Sourcing. To begin, one must first understand the basic premise of the film: Batman returns to the screen to fight a new arch nemesis, the Penguin, while at the same time collaborating with and fighting off a new flame, Selina Kyle, also known as Catwoman. Contrary to intuition, however, Batman is not the true star when it comes to highlighting Source One’s Project Management and Strategic Sourcing principles – it is the Penguin’s failures who prove these points. 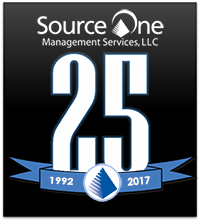 While project management for Source One clients means utilizing strategic sourcing to develop strategic partnerships and relationships with suppliers, along with determining a strategic plan for utilizing innovative technologies to ascertain the company’s end goal, for the Penguin, project management means forging false strategic partnerships, manipulating relationships with suppliers, and misusing innovative technology to achieve his mission. As a result of the Penguin refusing to abide by basic Source One project management and strategic sourcing principles, the Penguin is the source of his own, gradual downfall. For instance, after forging a false strategic partnership with a petty criminal named Schrek through blackmail, this partnership hurts the Penguin’s villainous projects, as Schrek is the reason for Catwoman’s inception, one of the protagonists who eventually turns on the Penguin and assists Batman. Similarly, the Penguin’s ruin continues through his manipulated relationship with suppliers – after deciding to kill all of Gotham’s first-born sons, the Penguin turns to outside suppliers to provide him with henchmen and weapons to accomplish this project. Where the Penguin miscalculated, however, was the strength of his suppliers: the strength of his henchmen and their weapons were not wieldy enough to overcome Batman and Catwoman; had the Penguin developed legitimate relationships with his suppliers, the quality of his products and team might have been stronger. Finally, however, the Penguin’s ultimate untimely end occurs through the Penguin’s misuse of innovative technology. After the defeat of his henchmen and their weapons, the Penguin turned to his final backup plan: using outsourced mercenaries to direct a path of missiles to destroy Gotham City. However, Batman’s strategic planning and utilization of innovative technology proved greater – using the Batmobile, Batman rerouted the Penguin’s missiles to destroy the Penguin’s lair, effectively ending the Penguin’s villainous career once and for all. Ultimately, as the Penguin’s failures in Batman Returns highlight, it is paramount that successful companies – villainous or not – follow guidelines like those advocated for by Source One, in order to achieve the utmost success. Perhaps if the Penguin had utilized Source One’s expertise in project management and strategic sourcing to develop strategic partnerships, relationships with suppliers, and a strategic plan for utilizing innovative technologies over turning to false relationships, manipulation, and misuse of technology, things would have turned out differently for the Penguin – if only it weren’t 25 years too late for the Penguin to find out!